Microsoft’s Windows operating system for desktops and mobile devices is a piece of computer history that we’re all still very fond of. But it’s not ancient history that’s long and gone, it’s history in the making because Windows 10, the current version, is rocking everyone world right now. The OS comes in many variants, and it plans to add one more quite soon. We’re talking about Windows 10 S, of course. Windows 10 S is basically a locked down version of Windows 10 that can only run apps from the Windows Store. Although many users expressed their dislike for this concept from the get go, we all need to remember that, while we can download Windows 10 S and use it once it launches, it’s not catered towards us. 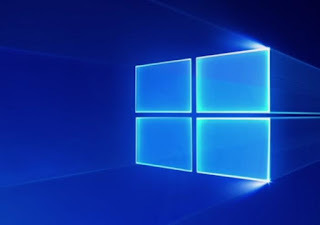 Windows 10 S is a special version of Windows 10 aimed at school computer and school computers only. If you’re a regular user and you want to install it, that’s your own business. So don’t criticize Microsoft so harshly, because there’s really no need for it. If you’re waiting for the launch of Windows 10 S, you still need to wait for a few more months. But a preliminary version of it is available for downloading right now, although it’s aimed only at developers and/or IT pros. However, all you need to have in order to get Windows 10 S right now is a MSDN subscription, so it’s not that hard to get. If you want to try it out right now, you can. If you’ve already got Windows 10 S running and you tested it out, please let us know what your thoughts on it are. We’d love to hear as many opinions as possible, so don’t be shy and leave us a comment below.